You loved A Taste of Pesach, which brought you the very best Pesach recipes from the famous Yeshiva Me'on HaTorah (Roosevelt) mailing series. A Taste of Pesach 2 brings you even more: more fantastic recipes, more great serving ideas, more ways to make Pesach (and the rest of the year) delicious, healthy, and FUN! The pictures are stunning, the layout is easy to follow and absolutely gorgeous. And the recipes! From Appetizers through Mains and Sides and mouthwatering Desserts - here is everything you need to serve spectacular food to friends and family. 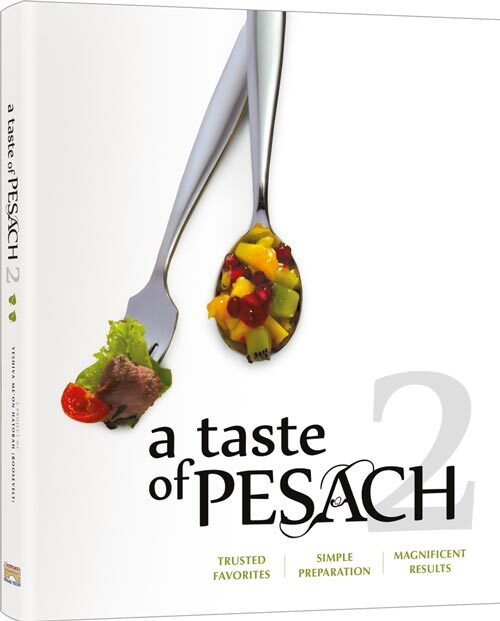 Savvy gourmet chefs and novice cooks, lovers of traditional foods and adventurous modern culinary artists - here is a Pesach cookbook for everyone!